For the services contracted, some advance payment should be made to hold the booking on a confirmed basis and the balance amount can be paid either before your departure from your country or upon arrival in INDIA -but definitely before the commencement of the services. We hold the right to decide upon the amount to be paid as an advance payment, based on the nature of services and the time left for the commencement of the services. An advance of 30% of the total estimated bill is required to hold the Bookings on Confirm basis. If Air tickets are included in the trip 75% payment is required in Advance. By Bank transfer to our Bank Details. By our Online Payment Gateway system through Visa & Master Card. By Debit / Credit Card . The bank charges (3% extra) - would be levied over and above the total advance amount payment by Credit Card. Upon arrival in India, the payment can be made through currency notes or travelers cheque or through AMEX / Visa & Master Card. Manual Processing Charges is applicable extra on Total with every unique bank Transaction to us. Note: All payments should be free and clear of any withholding tax and deduction. In case of cancellation of tour/travel services due to any avoidable/unavoidable reason/s we must be informed in writing. 60 days to 31 days prior to arrival - 25% of the tour/service cost. 30 days to 16 days prior to arrival - 50% of the tour/service cost. 15 days prior to arrival or no show - NO REFUND. In case of special train journey (like Palace on Wheels, Royal Rajasthan on Wheels, Deccan Odyssey, Golden Chariot, Indian Maharaja & Maharajas Express) and high peak season bookings (from 20th Dec to 15th Jan) A separate cancellation policy is applicable (which would be advised as and when required). Cancellation of tickets can be done by calling our office from 8, AM TO 8, PM. Cancellation of tickets within 24 hours of the flights. The User will have to contact the nearest airline office (of the concerned airline) to get his/her Reservation cancelled. India Tour City is in no way responsible to ensure that the ticket shall be cancelled and the sole liability to confirm the same with the airline shall lie with the User. For all refundable class tickets, the airline cancellation fee is charged per sector per passenger. All charges for individual airlines shall be applicable as per individual end service provider’s T&C. Additionally, India Tour City reserves the right to charge a service fee of INR 500 or more per passenger per segment as deemed necessary for all non refundable class tickets, there shall be no refund to the ticket fee charged. This is not applicable on any promotional fares offered by airlines as cancellations charges for those will depend on the promotional offer. The refund shall be processed within 30 days from the date of the cancellation request being made. The refund will be credited back to the same account from where the payment was made. Where the User has cancelled his/her booking directly with the airlines, he/she will need to inform India Tour City with valid documentation to initiate the refund process. 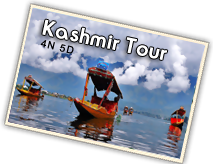 It is advisable to contact India Tour City within 48 hours of the cancellation request. Any later would require the User to send a scanned copy of Your E-Ticket endorsed by the airlines to India Tour City. India Tour City. And its associates acts only in the capacity of an agent for the hotels, airlines, transporters, Railways & the contractors providing other services & all exchange orders, receipts, contracts & tickets issued by us - are issued subject to terms & conditions under which these services are provided by them. The tickets, coupons or passage contract in use by carrier / hotel or other contractors rendering services shall constitute the sole contract between the Clients and such contractor. Any Special Airfare ticket purchased in conjunction with Tour cannot be cancelled or changed. All itineraries are sample itineraries, intended to give you a general idea of the likely trip schedule. Numerous factors such as weather, road conditions, the physical ability of the participants etc. may dictate itinerary changes either before the tour or while on the trail. 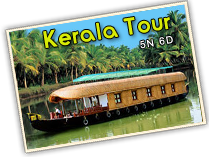 India Tour City reserves the right to amend any aspect of the itinerary including transportation and accommodation without notice in the interest of the trip, participants’ safety, comfort and general well being without making any rebate, allowance or refund and extra cost, if any, would be payable by the client. All disputes arising in connection with this Agreement shall be referred to an Arbitrator to be appointed by India Tour City. All such disputes shall be subject to the jurisdiction of Delhi (India) Courts only. The laws of India shall govern the validity, Interpretation, construction, performance and enforcement of these terms and conditions. If you have not received a confirmation of your payment via e-mail, first look into your "Spam" or "junk" folder to verify that it has not been misdirected, and if still not found, Please contact us. The Contact Information is provided on our Contact page.